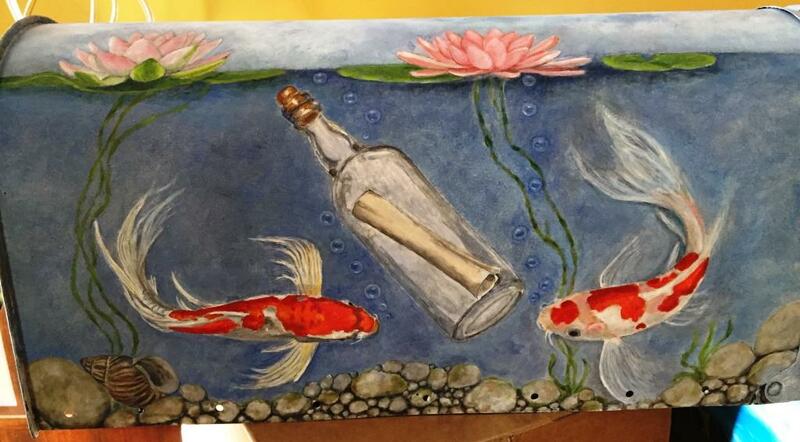 Elaine has certainly used her imagination and talent in this mailbox. 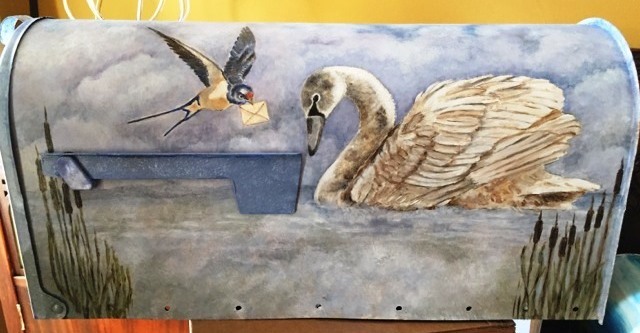 On one side, the swan and bird with mail tell you what is on the pond; on the other side, the koi and a message in a bottle tell you what lies under the pond. For a bit of whimsy, a snail is on the opening flap; after all, it is snail mail! March 19, 2017 -- asm © 2019 Sand Lake Historical Society; all rights reserved.